Audio Video Spinner Software: Can It help Your Business? It’s no secret that video marketing is a powerful way to promote your business. Most business owners fail to tap into video marketing and miss out on a lot of potential traffic and sales. Why? It’s simple; creating in-depth and well-produced videos is difficult. Not everyone has the time, money, and skills to create promotional videos. Therefore, they avoid video marketing altogether or create junk videos that simply damage their marketing campaigns. That’s a problem that Audio Video Spinner attempts to solve. This software makes it easy for you to create professional videos by stitching together short audio and video files from a massive database. It’s important to note that these are not computer generated audio files with robotic voice-over snippets but the rather professional voice over samples from many different voice actors. Today, we’ll take a look at the software and see if it’s worth the investment. Audio Video Spinner is a downloadable software that connects you to a massive database of stock videos, images, and audio files. The file also automatically extracts the library of stock files to your computer when the installation is complete. In other words, it’s possible to use these files with other video editing software. To get started, if you wish to add audio to a video, the user needs to select the most appropriate audio file category for his or her project. You can choose the audio from your computer but the program does supply a number of useful audio files for your videos. Choose the voice actor that you want and then choose a topic, there are a number of popular topics available mostly within the ‘make money online‘ niche. Next, select the video source. You can locate the video file from within the Audio Video Spinner files. There are plenty of stock videos that you can use and stitch together or you can even use your own video files you have already or ones you want to use, such as youtube. Images are also available if you want to match a slideshow type video presentation. There is a learning curve and the software is quite different from usual video editing software but once you learn how it works it will only take a few minutes to create videos with the selected custom audio track you desire to create. I spent some time testing out the video software and I immediately noticed features that I liked about it. First, the database of stock media is really helpful, there are about approximately 1,000 stock videos in the database. These are all stock files so you can use them for other projects as well, they’re not exclusive to the software. You can choose video files with audio or with audio. Secondly, I like the watermark feature. This feature allows you to include a watermark on your videos, whether it’s a text watermark or your logo. If you don’t have a logo for your business, that’s okay, all you have to do is type in your website’s URL and that will become your watermark. I think this feature is cool for driving traffic and branding. Third, the voice over work is very professional and the way the software allows you to create a custom voice over scripts is rather impressive. For example, there are thousands of little snippets of audio from different voice overs, these snippets are usually a few sentences long but you can combine them to create a detailed script. For example, one audio snippet is, “100% satisfaction guaranteed!“. You can choose which segments you want to use by selecting the appropriate category. This feature allows you to use already made voices without plagiarizing because you can change the segments. I liked this feature the best because you can add voice over to almost any video. First of all, even though this software has a video editing software, it’s nothing like the software that you are used to seeing (like Windows Movie Maker, Adobe After Effects, VideoMaker FX etc). It’s all click based but there’s no visual representation of your project. You have to click on the preview button to see your progress. I believe this could make it a little difficult for people because they can’t see, in real time, the changes they’re making to their project. So it takes a little while to get comfortable with the software. One other thing is it takes a few minutes to load the categories when you launch the program and every time you want to preview the file, you have to wait for a loading screen. I understand that loading screens are inevitable but I noticed these loading screens are particularly long which if you have a powerful computer the loading time is reduced, but not everyone has a high-end computer. An alternative could be is use the stock media library with a different video editing software, one that’s easier to use and has faster loading times. I believe that would solve the problem. I, however, purchased the product because of its audio creation features, (that allows me to add audio to any video) and not it’s video creation features. The last thing I didn’t like was that there were 4 up-sells, which is annoying when all I want is the main product. “However; Later I discovered, after I had purchased, that the up-sells solved all the above-mentioned issues, so you should get them the first time around”. Can These Videos be Used to Bring in Traffic? The short answer is yes! They can. I don’t know about you, but I don’t like watching videos that are full of ‘stock images‘ and ‘stock video footage’ that I have seen before. So you need to be a little creative when creating your marketing videos in order to get around that issue. However, videos do rank higher in search engine results, so theoretically, if you upload videos to YouTube with targeted keywords, there’s a strong possibility that you’ll increase the amount of traffic coming to your website. On that note, there is a public rating system on YouTube and anyone can see the number of likes and dislikes your video collected. If the video contains too much stock footage and no useful information, the YouTube community will likely dislike the video. Still, I believe this videos can be useful for sales videos. 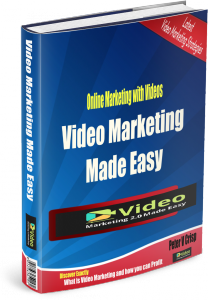 Google search engines like to see youtube videos and if you want to make a quick, quality sales videos for your services or a product, this software might well be the right solution for you to make a lot of them. Audio Video Spinner is awesome software and it does a great job, but it can be a little daunting to initialy setup and use. There is a steep learning curve. But if you can get past that then it will allow you to create videos very quickly, from the stock media library, which you can add any sort of voice and content you desire. “Allowing you to create unlimited videos and audio content without getting in from of a camera or having to use your own voice”. Also, these videos can be used for sales or squeeze pages or any type of online promotion and of course you could produce them for others, as a profitable side business. 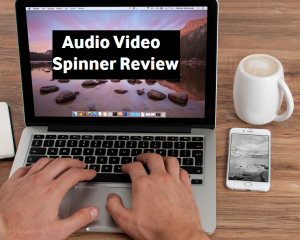 I hope you enjoyed this ‘Audio Video Spinner Review‘ and please feel free to socially share or leave a comment or ask questions below; I look forward to hearing from you. Chapter One: What Video Marketing? Chapter Five: 10 do’s you have to apply for Successful Video Marketing. Chapter Six: 10 don’t’s that you have to avoid for Successful Video Marketing. 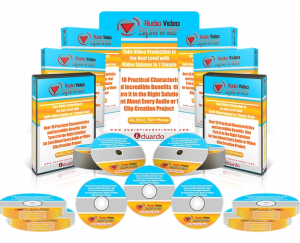 Chapter Seven: Amazing Video Marketing Case Studies. 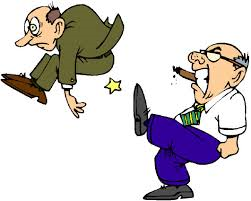 I also detail some very clever, fully automated, low-cost Video Marketing solutions; that will blow you away. Plus a load of resources and additional useful information that you will want to refer to on an ongoing basis. “So, please accept my bribe and leave a comment. The book is awesome! And so are you for leaving a comment – Thanks! Hey peter… I’m brand new to video marketing. I have literally purchased my first microphone and am ready to go. I don’t know if this would be for me though. Could you possibly recommend to me a software that’s good for absolute beginners…? Do you think this would work for me? Thanks! I am a video editor by profession but I donâ€™t have time to do videos for my own website. This is an awesome piece of software. Thanks for the review. Though itâ€™s one time purchase, do they offer regular updates for this software? Does it produce videos in Full HD quality? 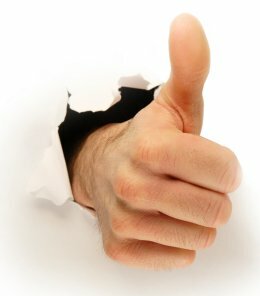 Your review is very thorough and when I expand out through the video route, I think I will probably purchase this software through your website. I think you are right that when people produce crappy looking videos it really harms their marketing campaigns and efforts. This product by the sounds of it produces something of high quality at a low price. Very informative and interactive. The free e-book for leaving a comment is genius – great idea to draw more traffic. I particularly like how simple and streamlined the site is. Color palette is easy on the eyes and draws attention to the important pieces. Categories menu option is a great way to separate different topics, I like that too and might take advantage of the same thing. I’m fairly new to all of this, so it was great viewing your site and getting some ideas. I took a look at your Audio Video Spinner and was impressed. It is cool that you have professionals doing the talking, which makes it a bit easier for business owners if they do not feel comfortable. The cost seems fair enough especially if you are just starting out with your online business. I have never seen anything like this before, so I am very interested in checking it our some more. I have made videos and did not have any problem do the videos, except sometimes I stumble over my words and having a professional would eliminate that issue. Thanks for the share and doing a great review of this product. I read your post titled, “Audio Video Spinner.” I like what I read. By that I mean, I am one of those persons who has not moved into the video era. I have been telling myself I am going to one day but then that day hasn’t come. Your post has really moved me to start using videos whether or not I use the Audio Video Spinner is another story but I am going to get started tomorrow. I have a video editing background (albeit 15 years ago) and even I think about video marketing and give a little “sigh”. It’s true that poorly produced videos discredit the person or business behind them. I want to use video marketing for product reviews. Do you think audio video spinner would be good for specific product reviews? Oh, I tried watching the videos embedded in this article but they wouldn’t play. I’d be very interested in seeing them. I am a video editor by profession but I don’t have time to do videos for my webistes. I spend most of my free time writing. I agree that it can be a challenge if you don’t see a visual representation of what you are working on.I am intrigued by the voice over function of this software as I am not very fluent in speaking English. I believe I better stick with writing if I want to keep my visitors engaged. But nowadays, YouTube videos really has a major impact in getting more visitors. I am considering to test the audio function of this software. Do they have a trial period or a money back guarantee? At first I came to your blog because of the audio video spinner review. I was quite impressed at the detail you provided and I’m sure it’s the next step I need in using video in my marketing plan. But then my eye caught all your previous posts in the list to the right and I just couldn’t stop reading. You are an excellent writer and I just love your style. Thank you for taking the time to help other marketers along the way! I have always dreamt about generating an online income which will allow me to live in different countries and travel the world. I am glad I came across your website since I definitely need to add video marketing into my website. I love the fact that this software makes it easy for us to create professional videos. Thank you for the info! I was always wondering how people achieve audio over video. Now i have a decent understanding thanks to you. I also didn’t have so much clue that videos increase our traffic. Youtube can be a role player in your success. ThÅŸs was a detailed and good article. It teaches many good things. Thanks for your content. Thank you for a detailed review of audio video spinner. It is a must have tool especially for me since most of the times my voice overs are not as clear as intended. l will definitely, give it a spin. l also like tools with fixed prices; l hate being billed monthly for a tool that l barely use. Is there any support offered if you run into challenges? I am totally blown away at how much information your website has. It is amazing how much there is to learn. I have always been interested in trying to start an online business that is not a scam. But even when I did find one or two websites, they didn’t offer too much insight or help. This site is awesome and I really appreciate the quality of the content. I am looking forward to seeing more of your videos. They are to the point and easy to follow.